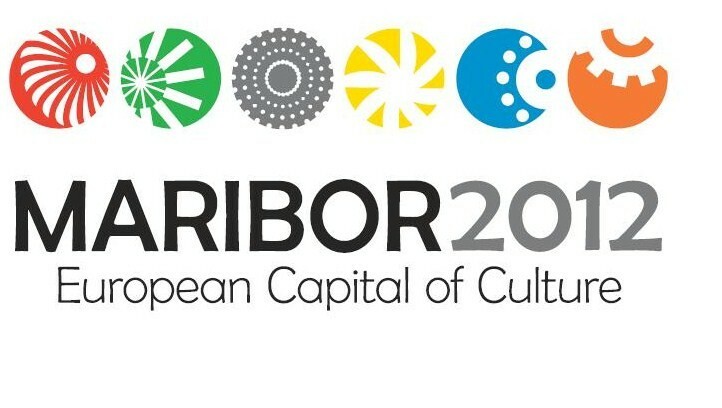 The programme of the Europe Capital of Culture Maribor 2012 may be seen through an horizontal-vertical structure. Horizontally, lie strands of individual artistic areas (literature, classical music, contemporary music, performance art, child and youth creativity, film, and visual art) created by consultants and creative producers for each area. Vertically, the sections (Terminal 12, Keys to the City, Urban Furrows, and LifeTouch) are integrated into the artistic areas. The programme has been divided into four creative strands: Terminal 12 (led by Aleš Šteger), Town Keys (led by Boris Cizej), Urban Furrows (led by Marta Gregorič), and LifeTouch (led by Aleš Čar). We take a close look at TownKeys, with Boris Cizej, TownKeys Programme Strand Chief, to see what are the some of the most important public space interventions planned for Maribor 2012. You say you are motivated “to establish a new cultural-artistic and social “scene” in Maribor”. What was the driven force that enabled you to create such a project for the transformation of the city? A shared vision and the determination of a group of people who believed that culture could act as a transforming force – these were the driving forces that enabled us to create a project for the transformation of the city. 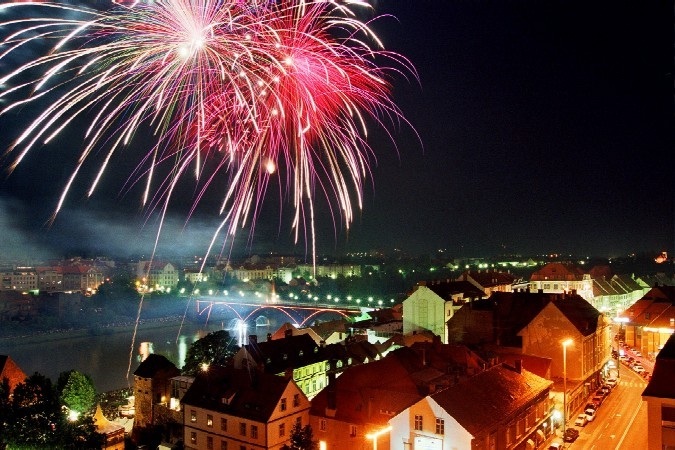 Please name for us a few cultural events of intervention on the public space in Maribor 2012. Right from the outset, the European Capital of Culture has been polarising the public, creating great expectations among some while eliciting indifference from others. In order not to miss any important opinions, we have decided to lend an ear to everyone. Therefore we will open a City Confessional in 2012, giving every individual the opportunity to express their opinions and feelings, vent their anger, or share a few words of praise. The confessional will be open 24 hours a day. As a symbol of openness, it will not have any doors. The interior will offer only a chair and a camera which will record every confession. A selection of the most interesting videos will be put up on the ECOC's website. The goal of the project is to fill the empty buildings in the city centre with new life. The Town Keys programme strand is not interested in new buildings but rather in the contents of even the smallest existing elements of the city: façades, shop fronts and windows. The city centre is losing content: several buildings are abandoned, have fallen into disrepair or are slowly disintegrating; there are empty, broken windows and shop fronts which are surrounded by crumbling façades. To raise public awareness about the issue – which is by no means unique to Maribor – we will fill these spaces with scenes from a comic which is being prepared by the journalist, editor, translator, author, and set designer Zdravko Duša. Onto the crumbling façades and broken windows we will draw a city comic, covering up and at the same time highlighting the run-down spots of Maribor. We are also planning to publish the whole story as a book, which will include a map of the city on which all the locations of the comic around Maribor will be marked. The project is being prepared in cooperation with the Slovenian magazine Stripburger. The Old Flea Market is a collector's fair for antiques, artworks, used things, books and postcards. It was founded by the collector and promoter of Maribor's cultural identity Boris Šinkovič at Židovski trg in 1984, where it was held regularly until 1990. After a break of over two decades, the Old Flea Market will come to life once more. It will give selected collectors and antique dealers from all around Slovenia the opportunity to offer their wares, while Židovski trg will once again become a meeting point for collectors and citizens alike. Throughout 2012, a group of students from the secondary school Prva gimnazija Maribor will carry out short interventions into public space. Upon leaving the school, the students will not part ways at Grajski trg as usual, but will remain together until they perform an unusual act which will surprise and sometimes shock passers-by. The Maribor House of Literature is a project of the Maribor Literary Society in cooperation with the Slovene Writers' Association and several other literary associations, publishing houses, journals and individual authors. It will be established in one of the streets of the historic city centre, somewhere in the Lent district. Its programme will be comprised of several different strands: 1. 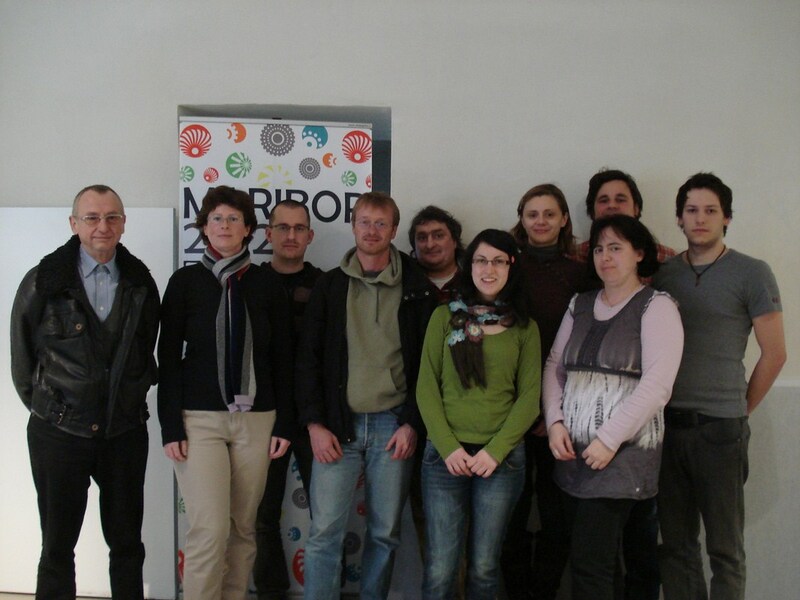 Authors from Maribor, 2. The repatriation of authors from Maribor, 3. Slovenian literary associations, 4. Beyond the border, and 5. They live: recitals of works by deceased authors from Maribor, etc. Open every day, the House of Literature will offer literary evenings and readings as well as smaller singer-songwriter concerts, photo exhibitions, press conferences devoted to new publications, works of Slovenian and international literature, and internet access. In the Literary Coffee House translations of various works by contemporary Slovenian writers will be available to foreign visitors. The House of Science seeks to strengthen the ties between the local population and various scientific research institutions, above all the University of Maribor. The aim is to bring scientific research closer to the public and get as many people as possible interested or involved in the field. A central partner of the House of Science is the Maribor Centre for Experiments. Based on the model of science museums that are found all around the globe, the Centre will provide a much needed boost to the promotion of science among the youth and adults in Northeastern Slovenia and get visitors actively involved by giving them the opportunity to carry out repeatable experiments. New and old: In the presentation you also speak about unlock and reawaken the forgotten or suppressed memories, so you are also planning projects that link the new technologies with heritage? Please tell us more. From the latte Middle Ages, Maribor was surrounded by a massive city wall, segments of which have been preserved to this day. A holographic reconstruction of the entire city wall will make it possible to better understand the extent of the medieval city and also emphasise the area in which most of the ECOC events will take place in 2012. The medieval wall will be brought back into existence with laser effects, special lighting and floor markings. Intended for the youngest citizens of Maribor, the new playground by the Drava River will reflect an important element of the city's history and blend in perfectly with its surroundings. For centuries, the transport of goods by wooden rafts down the Drava was one of the main economic activities in the city. The new playground equipment will take up the rafting theme and thus pass on a part of the city's past identity to coming generations. After a thorough redesign process, the river bank will become an attractive destination not only for adults but also for children, especially since the new playground is located in close vicinity of the new Maribor Puppet Theatre. With its unique appearance and since it will be visible from the Old Bridge, the new rafting-themed playground will be a real eye-catcher for older audiences as well. The equipment will be made primarily of natural materials (acacia wood, stone). The only preserved late medieval guard tower that was once part of the formidable northern city wall – today known as the Čeligi Tower – gives a rather bleak impression as it is almost completely surrounded by apartment blocks; moreover, access to the tower is rendered impossible by an iron fence. The fence will be replaced by an art intervention which will actively redefine the existing space. The new sculptural and architectural solution will protect the tower and its visitors and offer a new visual and symbolic image which will convey to the visitors the once vibrant pulse of the medieval city. Maribor and its Germans will be the main exhibition in the former Grand Coffee House. It illuminates a subject matter that, although present in the subconscious of the citizens of Maribor, has never been put on display in such detail before: the role of the German population in Maribor. The exhibition highlights the fact that from the time of the first stirrings of national consciousness and until the end of World War II, Germans were one of the defining elements of the city's development; due to their economic and political power they were a group that can not and must not be overlooked. Maribor and its Germans illustrates how two national communities were created in Maribor and explores the role of the Germans in the city's political, cultural, economic and everyday life across different time periods and historical contexts. Together with two museums in Celje and Nova Gorica, the Maribor National Liberation Museum is working on the project The Slovenian Middle Class. In cooperation with the Faculty of Arts at the University of Maribor and various other partners, the National Liberation Museum will contribute to the project with the exhibition Maribor's Middle Class, which will be put on display in Maribor's newest exhibition space, the former Grand Coffee House. The exhibition will offer insight into the development of the middle class in Maribor, its importance for the city, and the everyday public and private lives of its members. The focus will be on the first half of the 20th century, especially the 1920s and 30s, while the National Liberation Museum will also prepare a wide range of accompanying events. Before and after: what is now Maribor and what do you aim to achieve by this strand. Name one or two adjective Maribor would be called after 2012. As regards mentality and urban space, Maribor is in many ways still a defunct industrial city with numerous empty buildings, considerable brownfields, and a shrinking population. When describing Maribor after 2012, two phrases should come to mind: YOUNG CITY and NEW IMAGE. We thank Boris Cizej for the time spent to make the interview and, as the name already says, we hope to discover some of the TownKeys by tourists but also by inhabitants of Maribor in 2012! !